A rat control treatment involves dealing with rodents that are also known as the brown rat, sewer rat or Norway rat. These are the most widespread rats in London and the UK. The only other significant species is the black rat. Rat pest control needs to be undertaken by a property owner by law. 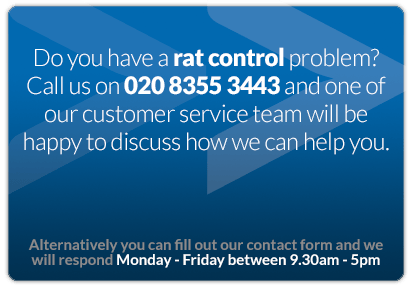 Beaver Pest Control London have provided rat control since 1990 to help provide a healthy and safer living environment. 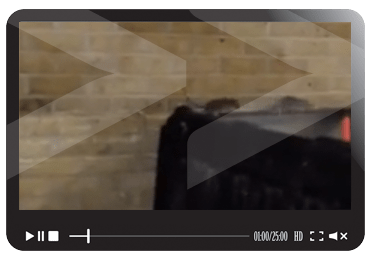 Rat control in London and the rest of the UK is primarily for the brown rat or sewer rat. These rodents are omnivores. The adult weighs up to 700 grams and has a total length, including the tail, of around 400mm. A brown rat can squeeze through a gap of only 25mm and often enters buildings via broken drains, hence the name sewer rat. This large rodent may also enter via damaged walls, subterranean conduits, broken vents or holes around pipes. Brown rats are only pregnant for three weeks and can have six to ten babies in a litter resulting in a rat infestation building up very quickly. The gestation period for both rats and mice is only three weeks and the female is able to conceive again immediately. It is therefore very important to employ a professional rat control company such as Beaver Pest Control London. The brown rat is wary of any changes to the environment, called neophobia. Successful rat treatments can therefore be difficult because the rodents may not eat the rat poison or enter a rat trap. Beaver Pest Control London offer set prices for private house rat control and a free survey for business properties. Rat extermination is very important. 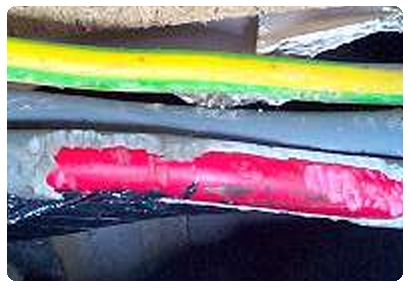 An infestation of rats can result in considerable damage such as gnawing through packaged goods and structures or even electrical wiring. 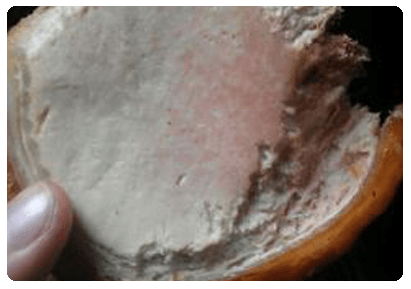 Contamination of food and the spread of disease by rodents should be of considerable concern to everyone. You will commonly read about businesses being closed down by an Environmental Health Officer when evidence of pests are found. Some diseases are potentially fatal such as Weil’s disease and salmonellosis (food poisoning). The black rat, via its fleas, was responsible for the plague. 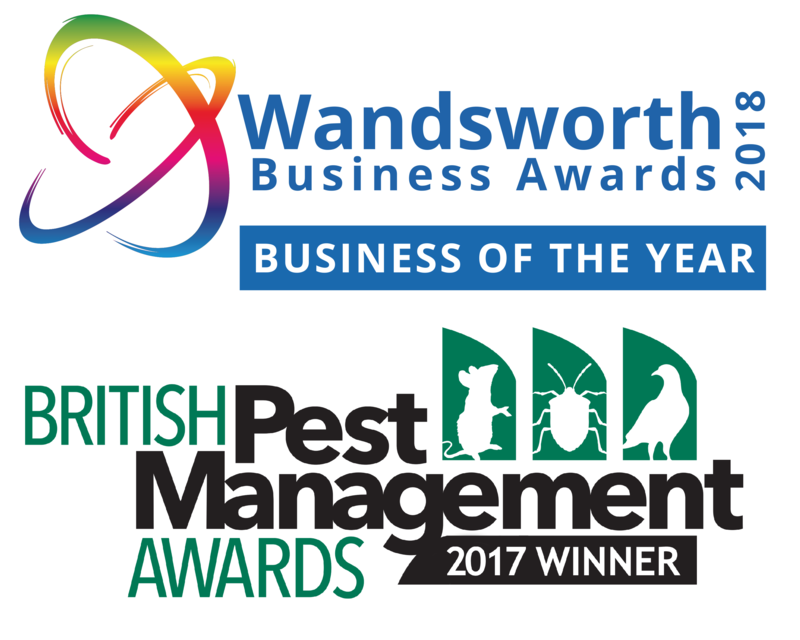 Beaver Pest Control are specialists in London rat control and have many different techniques for rat pest control treatments. We are able to offer a National vermin control service for business customers. We will complete a full survey and carry out a risk assessment. We will give you verbal and written recommendations in our report folder and carry out a full treatment for rats. 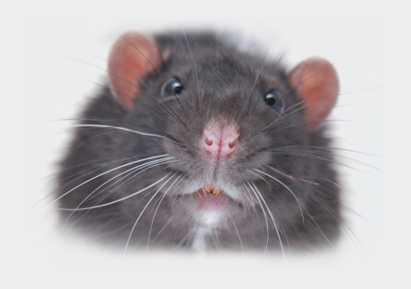 For business customers we will usually recommend the installation of rodenticide rat baits as part of an integrated pest control management system. Careful use of pesticides is essential and our staff are fully trained to carry out treatments for rats and mice and other rodents. We will give an immediate quotation on the phone for private houses that have a problem with rats and for all other domestic pest control. Please phone 020 8355 3443 now. Thank you. Very good, told me all I wanted to know, answered all my questions was very friendly and helpful. Said if I see any more rats, to phone up again. Rats burrow extensively if given access to a suitable substrate. 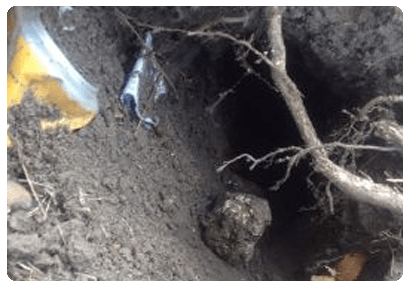 Rat pest control involves looking for these rat burrows. Rats generally begin a new burrow adjacent to an object or structure, as this provides a sturdy "roof" for the section of the burrow nearest to the ground's surface. 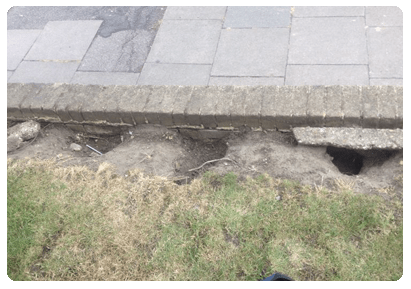 However, in this picture they will have dug their way out from a broken drain. Burrows provide rats with shelter and food storage, as well as safe, thermo-regulated nest sites. Rats use their burrows to escape from perceived threats in the surrounding environment; for example, rats will retreat to their burrows following a sudden, loud noise or while fleeing an intruder. The brown rat is a true omnivore and will consume almost anything, including meat. Cereals form a substantial part of a rodents diet and often rat baits are cereal based. The front incisor teeth of rats are very sharp and very often they will gnaw their way through wooden doors or ceiling joists. Rat control is very important to prevent damage and contamination by rodents. Rats will gnaw through anything including wood, lead, plastic or even electrical wiring. Rat damage can be very expensive but especially if this results in a fire. Rats have teeth that continually grow so they need to gnaw at objects to wear their teeth down and keep them sharp. Rat pest control is therefore very important.